I definitely notice more congestion and breakouts when I skip my thorough skincare routine. I try to be diligent now that I'm working downtown all day, so my cleansers and treatments are being put to work. 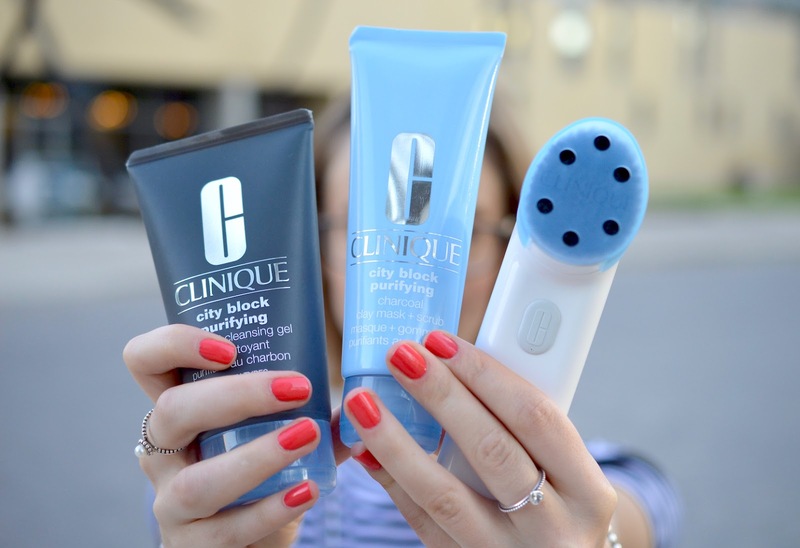 In this post I'll be reviewing a few new releases exclusive to Shoppers Drug Mart and Clinique.ca which have perfectly enhanced my routine this summer. The City Block Purifying Charcoal line provides instant gratification with simple, unscented products that get straight to the point - clear out the gunk, and do so with ease. This dark charcoal cleanser bubbles up to detox your skin by gently removing excess oil and impurities blocking your pores to leave skin feeling comfortable and clean. Formulated with glycerin and caffeine, you can use the City Block Purifying Cleanser morning and/or night to avoid breakouts and oiliness. After removing my makeup with the L'Occitane Immortelle Oil Makeup Remover, I coat my damp face with a thin layer of this cleanser and massage it in using the Sonic System Cleansing Brush, listed below. I love how there is no scent to this cleanser so it doesn't irritate my sensitive skin at all. Like most of my favourite Clinique products, a little goes a long way, which is awesome. The tube packaging for all of these products is sleek and efficient. Act fast! Get 5000 Shoppers Optimum Bonus Points right now when you spend $75 or more on Clinique skincare. link! I literally have no spare time most days, which means I need a quick fix for all of my pamper time essentials. 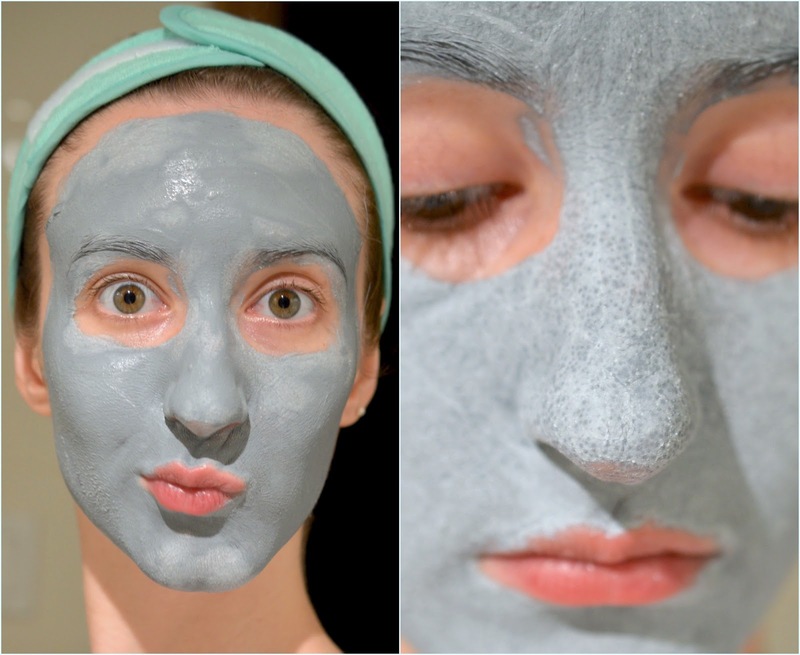 This 5-minute "dual-action detoxifying and exfoliating clay mask" is a multitasking powerhouse. 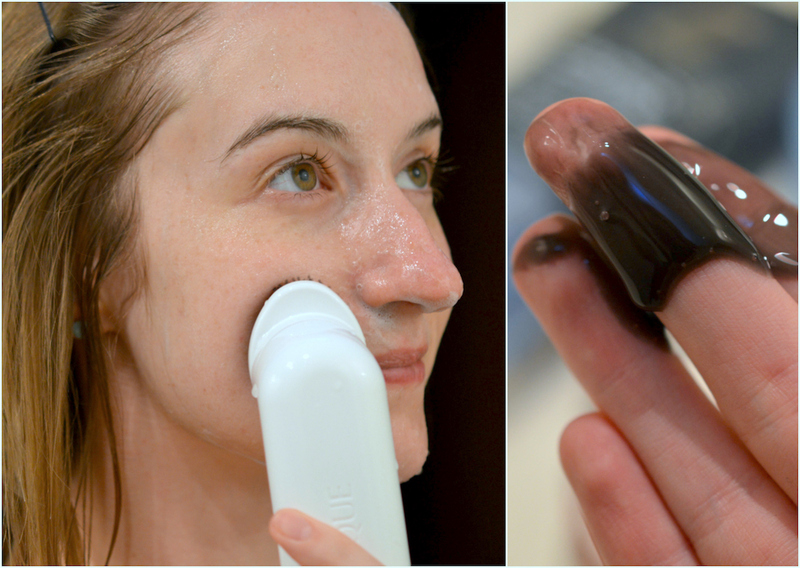 The 2-in-1 treatment purifies as a mask, and polishes away dead skin for a delightfully deep clean. "Natural bamboo, charcoal, and kaolin clay help remove pollution and impurities, while natural silica beads gently refine texture. Use 1-2 times a week after cleansing. Leave on 5 minutes or until mask turns pale blue, then remove with warm water, massaging in a circular motion to exfoliate." This mask is so easy to use due to its thin consistency and quick-drying nature - it isn't as thick and sticky as the Pore Refining Charcoal Mask (featured here). I massage off this mask with a very thin washcloth to let the scrubby bits work their magic. The grains aren't too sharp or scratchy and I notice that clogged pores on and around the nose/t-zone are reduced. My skin isn't left feeling stripped and it also satisfyingly highlights extra oily spots like the Glam Glow mud masks. Dermatologist-developed. Waterproof. Swiss engineered. For all skin types. $32.00 for the Purifying Cleansing Brush Head alone. 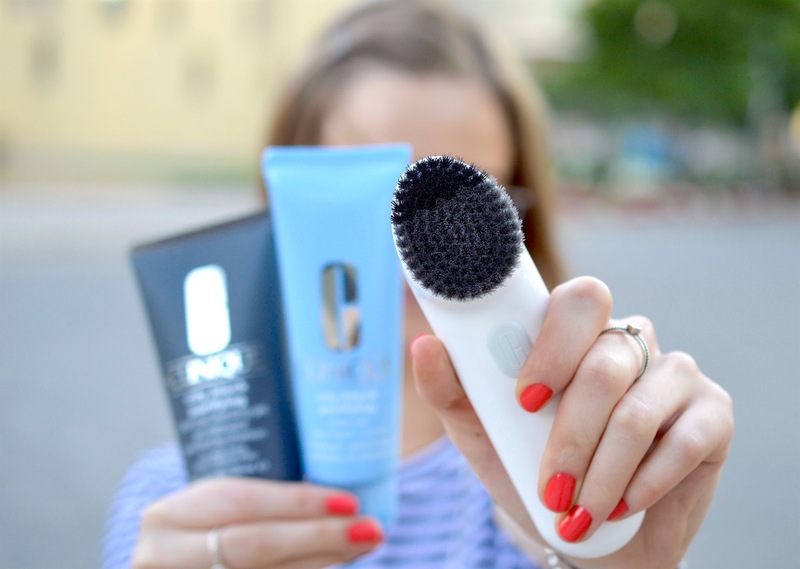 I was absolutely thrilled to get my hands on one of these sonic cleansing brushes since I've been using the same Clarisonic Mia since 2012. I really like the thin handle of this brush, which makes it very lightweight and my go-to facial tool for travel. The sleek charging base allows it to stand upright, and I am pretty impressed by the battery life so far – one full charge can last up to 3 months. The brush head is a fantastic shape with softer bristles for the cheeks and tougher bristles right at the tip, which can get right into my brow hairs, ear area and hairline, along with unclogging pores around the corners of my nose. Massage in circular motion for 15 seconds on cheeks using lighter grey bristles. No need to apply pressure. Massage in up-and-down motion for 15 seconds combined on forehead, nose, and chin using darker grey bristles. With more than 9,000 sonic vibrations per minute, this sonic brush cleans more thoroughly than hand washing alone. I'll admit that after the first full charge of this Clinique brush, I was underwhelmed by the light vibration. The timer only lasts for 30 seconds vs. 1 minute with the Mia, and the smaller brush head is not big enough to get around larger areas like my back. I was confused as to why the box only came with a USB cord, and not an actual wall outlet plug. I borrowed my cellphone cord attachment so I could charge it in the washroom. Overall, this is a nice waterproof facial cleansing tool that will loosen up trapped impurities better than hands or a cloth. I would recommend trying it out if it is on sale, since the $109 price tag is steep and I prefer using my Clarisonic on a daily basis. Now you can go block out those external aggressors with these simple, gentle, powerful potions from Clinique. The new City Block Purifying Charcoal franchise will be available exclusively at Shoppers Drug Mart Beauty Boutiques across Canada from July 2016.